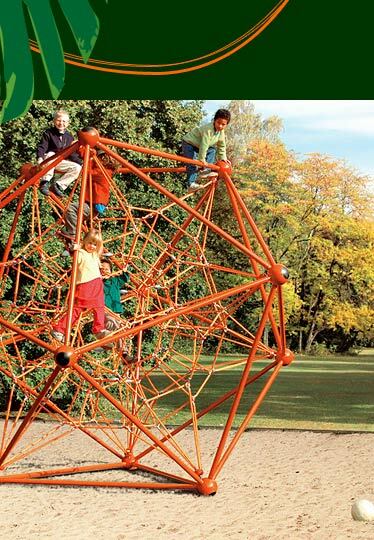 Roplay climbers will be the highlight of your playgroundï¿½and even so with low spending on equipment, with only a minimum of fore-planning, with quick delivery and uncomplicated installation. The Roplay Climbers are based on the icosahedron and are characterized by the utilization of the maximum net volume. That means: boundless playspace for the kids! All the balls and all the pipes inside the framework are equal and no concrete foundations are required, allowing a "foolproof" installation. Of course the installation manuals are very clear too. Make your investment in modern, high-grade and sturdy play equipment that is vandal-proof and that involves only a minimum of follow-up costs.